Frankie Ballard is back on country radio stations across the country this week. His new single “It All Started With a Beer” serves as the lead single off his forthcoming sophomore album. Seven Reasons November 6 will be the Best Day EVER! 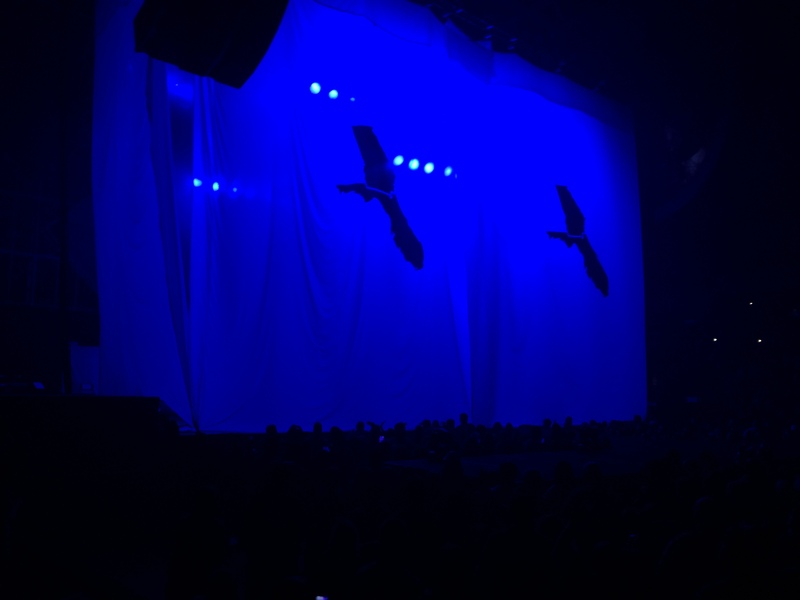 Florida Georgia Line hangs a backdrop before their set. More photos here! We knew going into last night’s Anything Goes Tour stop in Manchester, NH that it was going to be a hell of a night. After snowy weather in Nashville postponed the show from last Wednesday to last night, it was clear just from the walk into the arena how excited the fans were to watch their favorite artists perform. A lineup that featured three of the hottest young stars in country music and the singers of the two most recent number one radio singles offered a night fun of singing, dancing, and screaming. Photos from Florida Georgia Line’s Anything Goes Tour stop at the Verizon Wireless Arena in Manchester, NH on February 23, 2015. The Anything Goes Tour is sure to be one of the hottest tickets of the year. All three artists on the bill are well on their way to becoming country music superstars. Frankie Ballard mixes his rock roots with country messages to create a live performance that’s worthy of a spot at a rock festival. For Thomas Rhett, he’s as country as they come. At just twenty four years of age, Rhett’s youth shines through on stage, he knows how to connect with the younger generation of country fans as does so each and every night. And what more could you ask for then country’s party boys, Florida Georgia Line to close out the show. It’s their first major headlining tour so you know they’ll bring the party every second they’re on stage.